I participated in a campaign on behalf of Mom Central Consulting for Red Lobster. I received a gift card to facilitate my review promotional item as a thank-you for participating. My son started back to school two weeks ago. Trust me, it’s an understatement to say, “Where did this summer go?” Last week I thought it would be a great idea for my husband and I took pick our son up from school and surprise him with dinner (albeit, a little earlier than usual for us) at Red Lobster. When we pick him up he’s always starving, so eating at 3:30 in the afternoon would suit him just fine. Besides, it was the first meal of the day for me on this particular day, so I was starving, too. Thank goodness for the “Endless Shrimp” deal at Red Lobster! We took advantage of the “endless” part, too. You can enjoy endless plates of your favorite shrimp dishes, or mix and match to try them all for just $15.99. Entrees come with a salad and unlimited (one of my favorite things in the whole world) Cheddar Bay Biscuits. I chose the Garlic Shrimp Scampi and thought I’d give the new Spicy Soy Wasabi Grilled shrimp a try and my husband ordered the Hand Breaded Shrimp and the Shrimp Linguini Alfredo. Our son decided he’d rather have the mac ‘n cheese… but then ended up eating a lot of his Dad’s hand breaded shrimp. I’ve eaten the Garlic Shrimp Scampi at Red Lobster many times before, so I knew I’d love it, but I was a little nervous that the Spicy Soy-Wasabi Grilled Shrimp might be too “spicy”. It wasn’t. In fact, it had just a hint of spiciness. I would describe it as almost a BBQ flavor. It was bold but not overpowering. I quite enjoyed it. My husband had never tried the Shrimp Linguini Alfredo before and he was very pleased. It was a rich creamy Alfredo sauce with perfectly grilled shrimp. Confession: I’m counting calories, so the endless shrimp is perfect for me since it’s a low-calorie food, but when our waiter came back to get another order of our shrimp (remember it IS endless), I couldn’t resist to get me some of Red Lobster’s delicious Hand Breaded Shrimp. Hey it wasn’t fair that my husband and son were eating it in front of me and going on about how delicious it was… right? So what’s a girl to do? Well for the sake of review purposes — try them myself, of course! Back for its 12th year, Endless Shrimp at Red Lobster is one of the restaurant’s most popular, highly anticipated promotions, and it was obvious to us why. I love Red Lobster. We usually celebrate special occasions there several times a year and I think we’re going to start a tradition of eating at Red Lobster at the beginning of every school year from now on. What special occasions do you dine at Red Lobster for? Red Lobster is committed to making a difference in the lives of others in the local community. As part of this commitment, Red Lobster restaurants participate in the Darden Harvest program, which has donated more than 60 million pounds of food to local community food banks across the country. 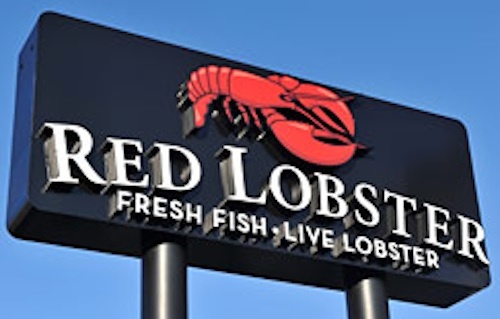 For more information on Red Lobster, please visit www.RedLobster.com. Be sure to connect with Red Lobster by following Red Lobster on Twitter and liking Red Lobster on Facebook. I’ve always loved Red Lobster their biscuits are amazing! I love fried shrimp. So glad to hear that Red Lobster gives back to communities. It’s definitely more than just the good food I love about Red Lobster! I have never been to Red Lobster before. I don’t know why because I love shrimp. I really want to try the Spicy Soy-Wasabi Grilled Shrimp. Jennifer, you really must try Red Lobster… I think you’ll love it! It really was a great treat, Penelope! 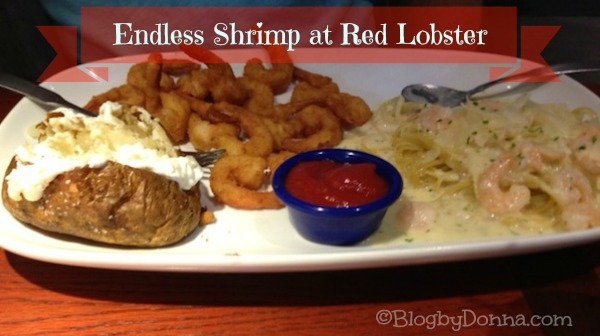 My husband and I LOVE shrimp, and will certainly head over to Red Lobster for this one! However, I do wish that the Spicy Soy Wasabi Grilled shrimp was more spiy than you described – maybe they can give us some wasabi on the side. It could have been the Red Lobster we ate at, but it really wasn’t spicy at all. Which was actually fine with me, but if you like spicier, I’m sure they would accommodate you! My daughter loves Red Lobster because she adores sea food! I love their coconut shrimp. Their coconut shrimp is awesome! I’m crazy about the crab legs and lobster tail, too. I just love seafood and everything I’ve ever tried at Red Lobster. We love Red Lobster. And their shrimp is my favorite! My kids love red lobster and I love shrimp! Need I say more? I go for those biscuits, but my boyfriend LOVES himself their seafood! We haven’t been to Red Lobster is SO long, I think it’s time for a visit! 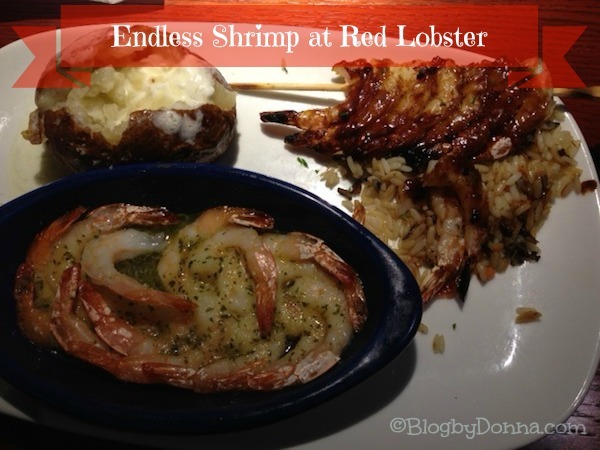 I love endless shrimp…I love shrimp period and Red Lobster does kinda rock. Red Lobster is a great place to celebrate Back to School. Looks so yummy. I’m not a big shrimp eater but my family is! We always head out to Red Lobster when they offer their endless shrimp. That shrimp linguine alfredo sounds amazing! I love Red Lobster. I’m so glad that your family had a great time! I love their biscuits! I really wish our Red Lobster’s weren’t so unreliable.. sometimes good sometimes really bad.. When they’re good they’re really good though. I love Shrimp, but I have had bad experience’s at Red Lobster, found a used napkin in my Food once, but that was a long time ago, since then we rarely eat there. But with all the new Dishes that they have come out with it is definitely worth another try. Thanks for the post, and the Food looks YUMMY! Yum, we haven’t been there in forever. What a great way to celebrate back to school! We love endless shrimp at Red Lobster.